The topper is real flowers, flowers on cake are gum paste. 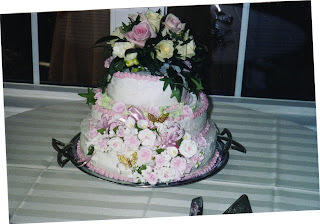 Judie i love this cake. What a lot of work went into this. I know because i used to make cakes also.